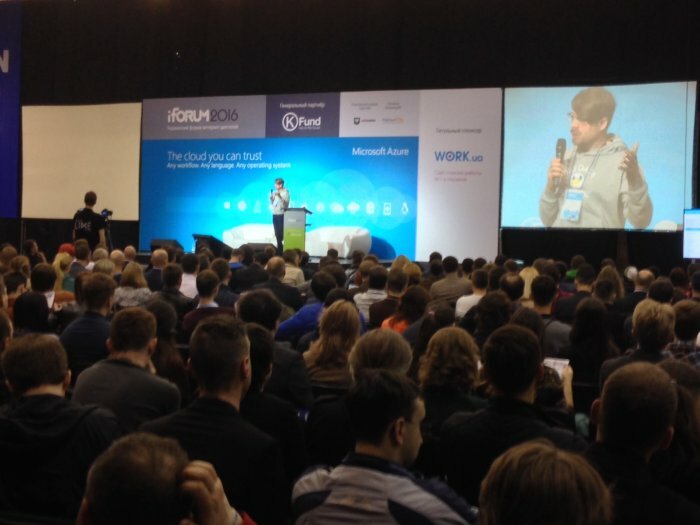 On April 20, 2016 we attended iForum 2016, Ukraine's largest IT event of the year. 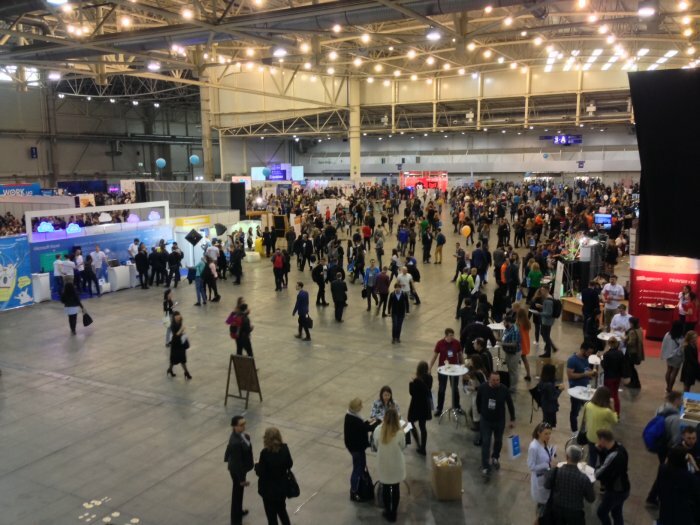 The forum gathered over 5,000 attendees and featured over 100 keynote speakers across 5 parallel streams: IT business and startups, advertising and marketing, smart cities, IT technologies, and synergy between education and IT. Intersog attended this year's event to stay in the know about current trends in IT and smart tech, as well as network with our peers and competitors. Herewith we'd like to share some of our most interesting takeaways from the event. Don't start any Big Data project unless you have an in-house team of or access to data scientists and analysts. Today, there's a huge shortage of Big Data talent globally and while the competition on the data analytics market is gaining traction, businesses have very few sources to hunt for such talent. So, the most viable solution will be to grow Big Data talent internally via both training courses and re-focusing available IT specialists and programmers to acquire required data science and analytics skills. Outsourcing Big Data solutions to vendors with access to relevant talent pools is a healthy alternative to in-house development / deployment and is set to outperform and be much more profitable than traditional IT outsourcing, according to IBM Canada. In order to improve customer relationships on Big Data projects, it's advisable that data vendors employ a design thinking approach, i.e. design-specific cognitive activities that help identify and explore all of the ambiguous aspects of the current business situation to discover hidden parameters and open alternative paths that may lead to better goal achievement. Today, predictive analytics has already reached the point when its results mark a 98% precision rate, which means companies can easily rely on this method to create predictive models and make BI and data driven decisions for business and operational improvements. Popularity of the mobile web is growing at an extremely rapid pace. As of the end of 2015, mobile search queries in Google have outnumbered desktop search queries for the first time in the history. It means more and more people are migrating to smartphones and using them as the first and only device. Mobile-first is no longer a recommendation, but a must. If a company doesn't have a mobile website or a brand app, it's condemned to lose over 25% of client's base. Global proportion of mobile vs TV is 52% to 27%, according to Google. The average smartphone user has 30 apps installed and 1/4 of them is used on a daily basis. However, when the question arises: "what's more important for our business - mobile app or mobile site?" even Google doesn't have the answer. "It all depends on your goals," said Dmitry Sholomko, Country Manager of Google Ukraine. "What are you trying to achieve - user's time or money? By answering this question you can figure out what to choose for your business." According to Flurry, in the United States, users spend 90% of their time on apps and only 10% in a browser. However, mobile sites provide a higher conversion and higher profits no matter how popular mobile apps are. That being said, it's yet too early to bury web! mCommerce growth is 300% faster than eCommerce growth globally and 1/3 of the entire eCommerce is already in the mobile. Top mobile commerce drivers are Japan and South Korea (over 50%), the UK (40%) and the United States (29%). Cross-device usage is still a huge barrier for advertisers. According to Google, 65% of all transactions start on mobile and end on a different device; yet, 98% of advertisers and publishers don't track cross-device activity properly. Risks are numerous and include wrong messaging, use of wrong channels, wrong target audience, wrong time and lost investments. Google says that 63% of mobile users are in fact cross-device users and 87% of revenue that's believed to be generated from mobile is actually generated from desktop! Marketers that are able to track cross-device usage correctly are able to see 16% more conversions. Come back soon for more iForum takeaways pertaining to smart tech and IoT! Or follow us in Twitter, LinkedIn and Google Plus to get an alert!